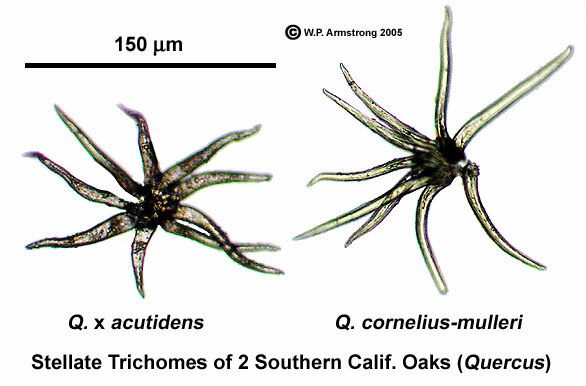 Photos in Middelveen's & Stricker's Morgellons papers that look like Stellate Trichomes. Discussion in 'General Discussion' started by Mick West, May 26, 2016. Filament formation associated with spirochetal infection: A comparative approach to Morgellons disease by Stricker and Middleveen. It is captioned: "Morgellons Fibers at 100× magnification. Note Floral-shaped Fibers on external surface (top) and pavement epithelium on internal surface (bottom) of epidermal section"
Morgellons disease is a contested diagnosis that only a very small number of doctors subscribe to. Patients typically suffer from a long list of symptoms, but most commonly itching and fatigue. The patients associate these symptoms with fibers that they find on their bodies. They, and/or the small handful of doctors who support "Morgellons", associate the fibers with the symptoms and claim it's a distinct disease (Morgellons) causing both. Most doctors (and the CDC) think that the fibers are just clothing fibers and hair, that the symptoms have other, varied causes, and that in some cases the fixed belief in these fibers being linked to their symptoms can even be considered delusional, similar to delusional parasitosis. The implication here is that this a piece of skin of a Morgellons patient and this shows the formation of "fibers" from the back of the skin (i.e. under the surface), and this then is evidence that the fibers being found are not environmental contamination, like clothing fibers. There is strong evidence that Morgellons is not a delusional disease. That forthcoming paper is the 2012 paper "Morgellons Disease: A Chemical and Light Microscopic Study" by Middelveen, Rasmussen, Kahn, and Stricker. Case 1 The patient is a 72-year-old grandmother and former fashion model who developed painful lesions on her hands while working in her garden in San Antonio, Texas, in 1994. The lesions were punctate with ragged edges and healed slowly, leaving visible scarring. Fibers were observed in the lesions and under intact skin on her hands using a 60x handheld microscope. Topical steroids had no effect. The patient also noted the onset of fatigue, joint pain and muscle aches, and systemic steroid treatment exacerbated these symptoms without any improvement in the skin lesions. Medical evaluation was negative for autoimmune or infectious diseases, and neuropsychiatric evaluation was entirely normal. Biopsy of a lesion demonstrated hyperkeratosis and parakeratosis with no visible organisms or evidence of vasculitis. However “textile fibers” were noted in the dermal layer of the biopsy specimen. In 2001, after numerous visits to dermatologists and other medical specialists and treatment with topical emollients and antiinflammatory medications, the patient had persistent skin lesions on her hands, fatigue and musculoskeletal pain. Despite the use of gloves to avoid scratching, her lesions persisted and she was unable to work in her garden or hold her grandchildren due to pain in her hands and joints. She recalled numerous tickbites but never saw an erythema migrans (EM) rash, and she was found to have positive testing for B. burgdorferi, Babesia microti and Bartonella henselae. She was treated with antimicrobial medications and her fatigue and musculoskeletal pain improved significantly. However her skin lesions persisted. She received anti-parasitic medication, and the lesions improved to the point that she could once again do gardening. The lesions persist but are “manageable” (Figure 1A). Case 1: Microscopic examination revealed a wide range of filaments in various stages of formation ranging from early stages that demonstrated either single or clusters of hyaline, tentacle-like projections with tapered ends (tentacle diameter approximately 5µm) to macroscopic masses or mats of tangled fibers (approximately 1 mm diameter) (Figures 2A-2H). Floral-like formations of early-stage filaments were observed in some samples that were collected on different dates and years (Figure 2A). These structures had tapered ends with bases originating at a central point and were found in groups anchored to a dried dermal matrix. The reverse side of some of these specimens revealed a layer of pavement epithelial cells (Figure 2B). Epithelial matrices anchoring longer hyaline fibers were observed, suggesting that as the tentacle-like projections increase in length individual fibers may become tangled, or clumped (Figure 2C). Various structures composed of clumps, strings, and nest-like balls of hyaline filaments were observed and some of these were glued together by clotted or dried exudate (Figure 2D). This suggests that tangled filaments may eventually separate from the supporting epithelial matrix and form balls and other tangled structures. Some samples revealed raised unidentified papules protruding from dried epithelial tissue that might be abnormal hair follicles. Long isolated colored filaments, filament fragments, balls, and clumps of fibers (red, blue, black and green) were also observed, but were not attached to or growing from epithelial tissue. Many of these colored filaments had bulb-like ends (50 µm diameter) that looked very much like those found in hair follicles (Figure 2E). Many fibers displayed iridescence under bright-field microscopy and were fluorescent under UV lighting. Hyaline or white fibers fluoresced brightly, as did blue fibers (Figure 2F). Red and green fibers displayed striking iridescence (Figure 2G, Figure 2H) but fluoresced with less intensity than the blue and white fibers. This suggests that melanin pigments may be associated with red and green filaments. Early floral-shaped clusters were brightly fluorescent. Human hair was not fluorescent nor was normal skin. Color intensity and hue of the red and blue filaments was influenced by the color spectrum of the illuminating light. This property and the presence of iridescence suggests that a structural component is involved in the unusual colors seen in Morgellons fibers. Note the "Reverse" image here is from the 2011 paper, but the "Obverse" is a new image. Now just to recap what the claim of evidence is here. There is a "sample" (it's not clear where the sample came from), that on one side (the "obverse" or front side) there were multiple "Floral-like formations of early-stage filaments", and on the other (the "reverse", or back side) there was "a layer of pavement epithelial cells". The suggestion here is that the filaments were on the surface of the skin, and they were linked to the epithelial cells. So I'd like to present an alternate hypothesis - that the "sample" is not of human origin, and is in fact a small piece of oak leaf. First, let's compare the underneath of an oak leaf with the above "reverse" image. The front of the leaves gives a more interesting comparison though, with the "Obverse" of the morgellons sample. I think the comparison with a leaf is quite striking in Figure 2A, which I have reproduced here with increased contrast to show what looks like the vein structure of a leaf. Compare this with the venation of an oak leaf from my yard. Very similar structures. So, oak leaf, or skin sample? I'm leaning towards a leaf. Finding the right type of tree would help settle the matter. "Case 1" comes from San Antonio, Texas, where oak trees are both native and common. Unfortunately there are not many close-ups of the various oak leaves available. But perhaps someone with a microscope could have a look at some. Rather unusual little things that’s for sure. If you found those emerging from your body, then you’d be forgiven for being a bit suspicious. So what the heck are they? Ah sorry, didn't twig you were him. It was in my transitional semi-anonymous phase. Morgellons was what I was interested in before Chemtrails. There reason it came up again was someone emailed me about the old blog, and we talked for a while. He mentioned that the Middelveen papers were quite convincing to many people, so I decided to give them a look. The trichome thing was the first thing I'd noticed.